Clients in my psychotherapy practice frequently comment on the various ways in which they experience silent moments in a relationship. The adjective “awkward” often precedes the word “silence” and the stories that emerge are too often unhappy tales of discomfort, unease, and worry. Unfortunately and too often, the proverbial “awkward silence” is interpreted as a sign of trouble in an ongoing relationship or a sign of social anxiety or social ineptitude in more casual relationships—however these interpretations might not always be accurate. Silence on a first date, for example, is likely to be experienced very differently by both parties than the silence that occurs in a marital partnership where these moments may be familiar and better understood. There are those who believe that every moment needs to be filled with words: silence, for them, can be extremely awkward and worrisome, especially if it gets interpreted as a troubling development which, very often, can lead to actual problems. If the silence suggests that something must be the matter—rightly or wrongly—the other person may get angry at the deprivation the silence generates and react accordingly. Certainly, silence sometimes might be an indicator that a relationship is in trouble; however, this should not be prematurely concluded simply because there is silence without obvious explanation. 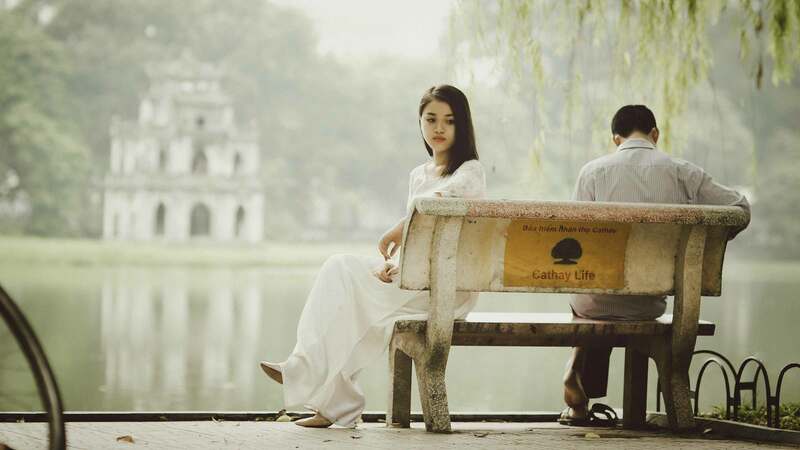 If one seems only able to interpret relationship silence as a negative, care should be taken to examine that before acting in accordance with the impression. Silence in a chronically troubled relationship is likely to be very different than silence in a strong, secure relationship where the silence might be a form of quiet intimacy. Two marital partners with one of them reading and the other checking e-mail do not need words. A couple experiencing relationship difficulty, on the other hand, might likely view silence as a harbinger of doom, the beginning of the end, the quiet calm before the noisy storm, etc. Silence can be a form of avoidance in a relationship when one has an issue with their partner and is unable or unwilling to express it. People who are conflict-averse, for example, may resort to silence as a way of avoiding the possibility of an argument. Silence seems safer and it may well be—however, it disenables the necessary opportunity to air a grievance or work on an issue in the relationship. Silence in this way might cause relationship-erosion if the issues that are withheld in silence never get worked out. It also gives the impression that all is well in the relationship when that may not at all be the case. Try to remain objective or neutral about what is actually occurring until you are able to learn more. Beware of being guided by your fears and, therefore, give silence a negative meaning when it may not warrant it. Try to develop a greater tolerance for the “awkward silences” when they occur so that you can avoid the tendency to misinterpret its meaning.